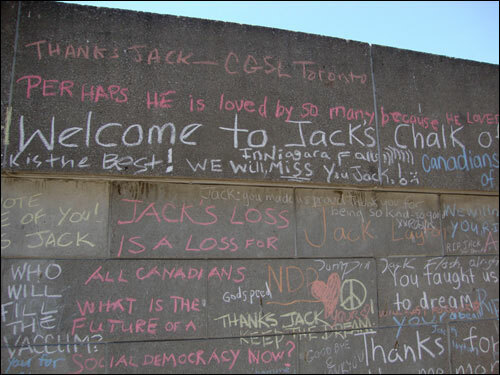 We went downtown on Saturday to say goodbye to Jack. 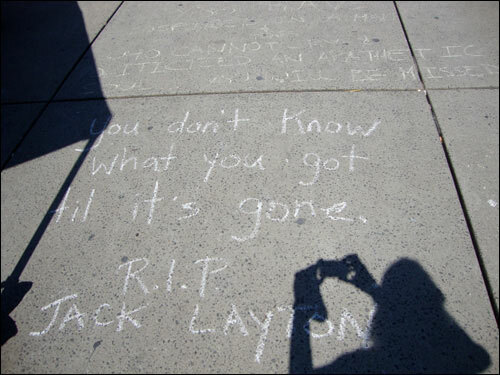 Our first stop was City Hall to take in the sight of what must have been thousands of chalk messages of loss, love and thanks. 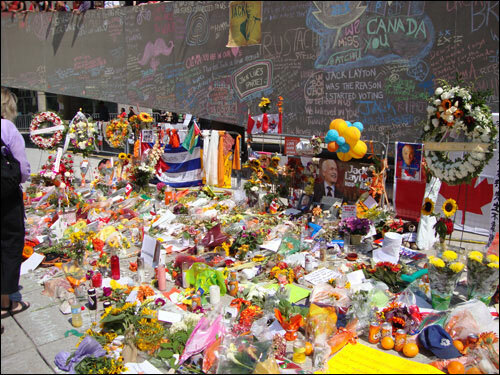 I've never in my life seen such an emotional reaction to the death of a Canadian politician and I found myself choked up throughout the day as politicians and regular people alike honoured Jack Layton. 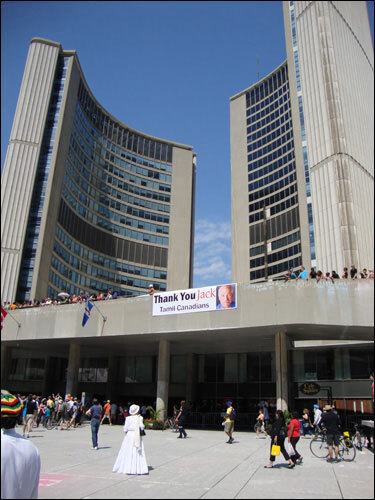 At City Hall hundreds of people watched as Jack's casket was loaded into the hearse waiting to take him to Roy Thomson Hall. 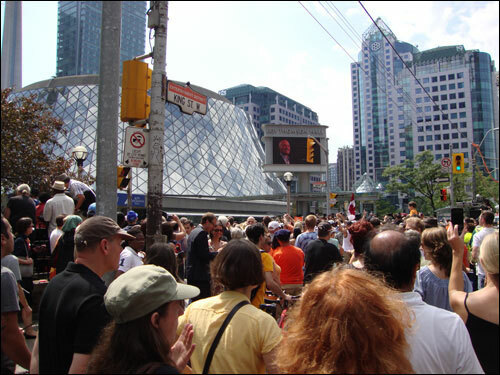 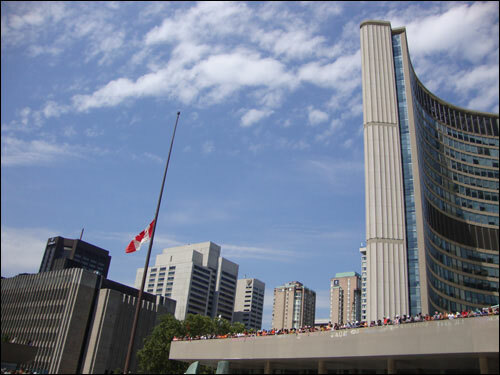 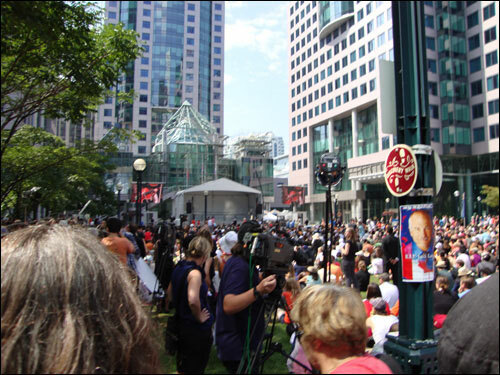 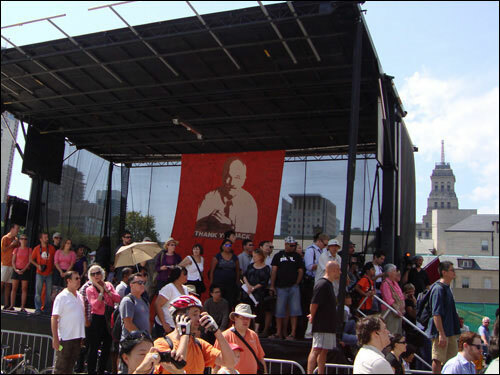 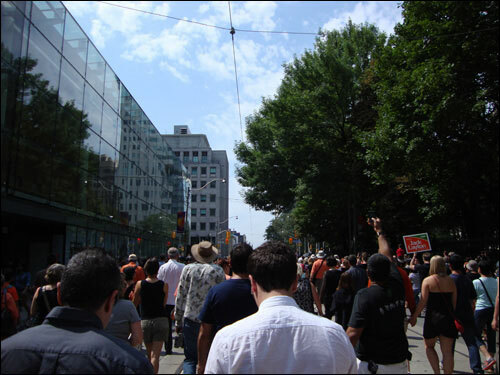 The People's Procession (on foot and by bike), us along with it, followed in the cars' wake along Queen Street and then University Avenue, shortly arriving at Roy Thomson hall where throngs had already gathered to watch Jack's state funeral from neighbouring David Pecaut Square. 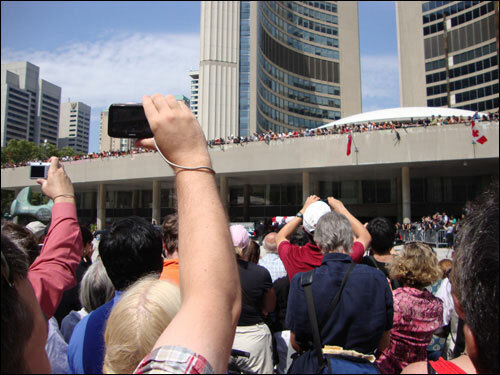 Fittingly, the ceremony itself was as much a celebration of a life that harnessed hope and fought for change as it was a poignant goodbye. 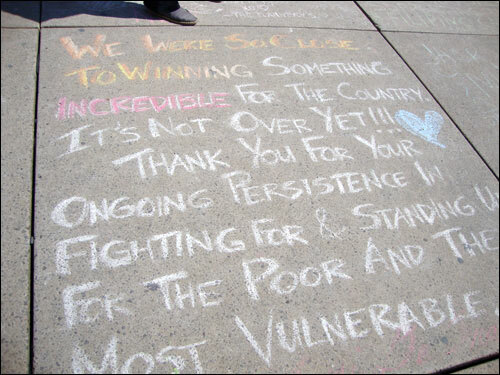 I think the Nathan Phillips Square chalk message pictured below said it most succinctly. 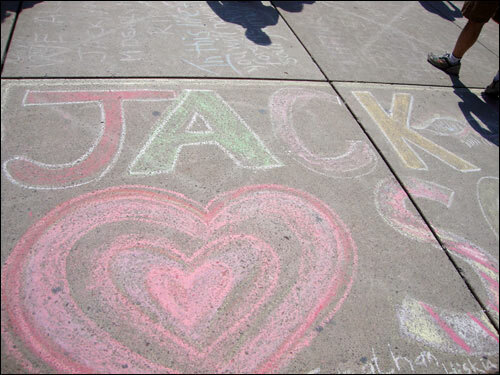 Adieu, le bon Jack. 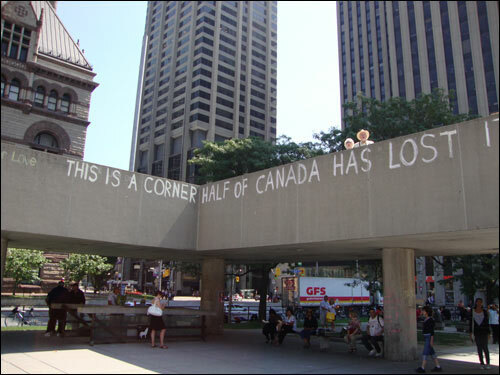 Thanks for everything you've done for Canada and Canadians over the years. 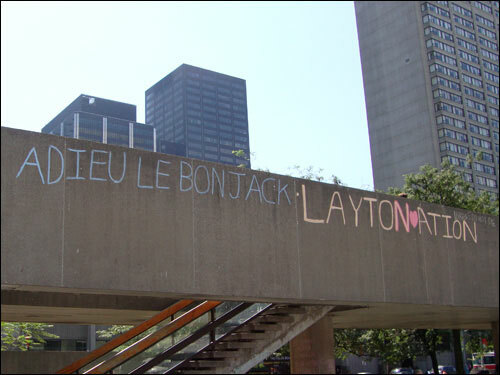 I think we didn't say it enough when you were with us but we've been shouting it from the rafters these last few days to make up for it. 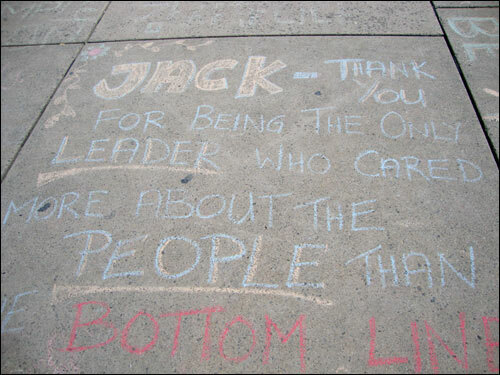 Hope you can hear us, Jack.